In only 19 square kilometers of the Amargosa basin in the Mojave Desert of California, lives the small, brown Amargosa vole (Microtus californicus scirpensis). 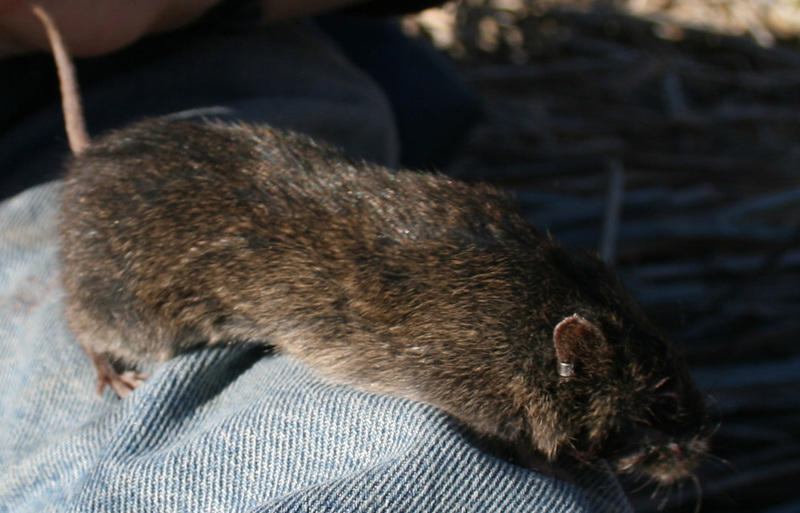 This specialized vole lives in bullrush (Scirpus oleyni) dominated marshes that appear when the normally underground Amargosa river reaches the surface. Conservation of this unique habitat on which this state- and federally-listed endangered vole depends has been a cornerstone of conservation efforts. While conducting surveys to determine for Amargosa Voles in September 2010, California Department of Fish and Wildlife scientist Tammy Branston discovered unusual deformities on the ears and genitalia of some of the voles which appeared to be associated with the presence of an orange substance on the skin. Some voles were so severely affected that they were missing their ear pinnae (the visible part of the ear) altogether. Tammy alerted CDFW veterinarian Dr. Deana Clifford, and along with her colleagues Dr. Janet Foley, a small mammal disease ecologist at UC Davis, and Dr. Leslie Woods, a veterinary pathologist at the California Animal Health and Food Safety Lab (CAHFS) at UC Davis, they sampled affected voles and conducted additional tests to determine the cause of the deformities. They discovered that the orange “stuff” was actually a hard orange mite, a chigger in fact. Of 151 Amargosa voles examined from February-April of 2011, 40% of the voles had hard orange mites adhered to some part of their bodies, and 47% of voles examined had ear lesions and deformities which included alopecia (hair loss), swelling, tissue death and ulcers at the ear edges, as well as scarring, scabbing, and loss of external ear tissue. The team’s findings are published in the August 2013 issue of the Journal of Parasitology. It is extremely unusual to see such severe damage due to a chigger in a small mammal, which raises concerns that this condition could negatively impact the health and fitness of individual voles. An interdisciplinary team with members from CDFW, UC Davis, UC Berkeley, the Bureau of Land Management, the US Geological Survey, and the US Fish and Wildlife Service, is studying population dynamics, habitat needs, genetics, and disease in order to ensure that healthy populations of this unique endangered vole of the desert persist well into the future. Full reference: 2013. Foley J, Branston T, Woods L, Clifford D. Severe ulceronecrotic dermatitis associated with mite infestation in the critically endangered Amargosa vole (Microtus californicus scirpensis). Journal of Parasitology. Aug;99(4):595-8. Click here to read more about the Amargosa vole and download recovery documents. Click here to read about agency efforts to enhance the voles habitat, the Amargosa Area of Critical Environmental Concern (ACEC). 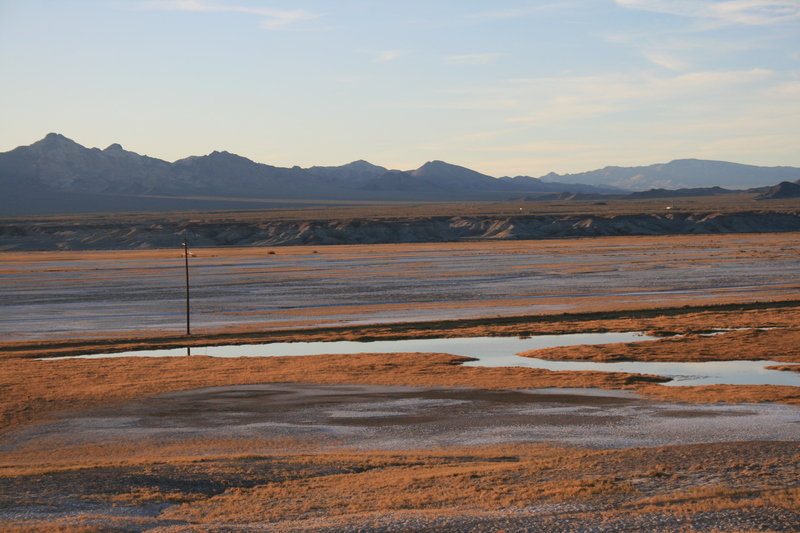 Click here to learn more about the Amargosa Conservancy’s local efforts to protect the Amargosa Basin.